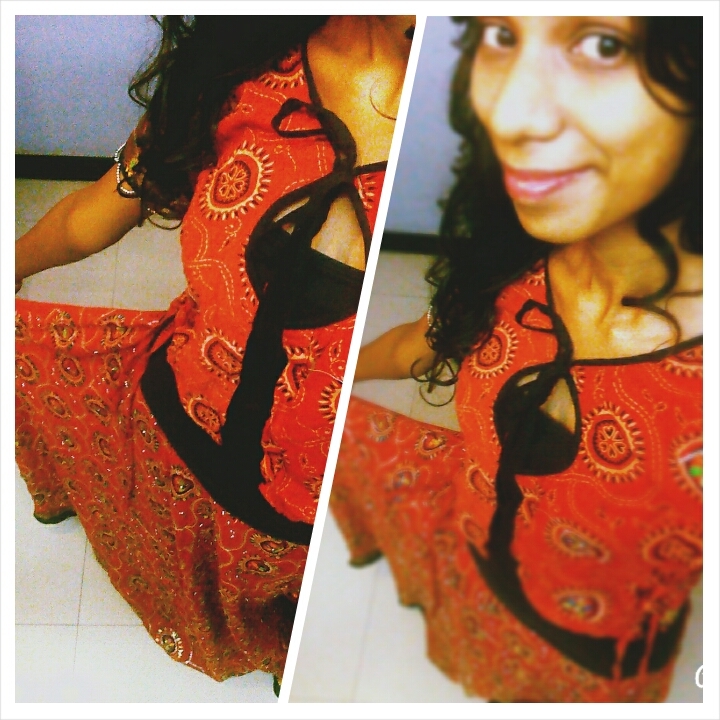 Garba Navratri- What to wear? That time of the year for all Indians where the jhamkas and matkaas are counting.. Some are fasting, some are singing devotional songs, and then there are people like me; just interested for the heavy dressing and dancing 😁. For all those who don’t know what I’m talking about, in India, we celebrate Navratri meaning 9 nights where we rejoice and make merry and dance our sweats out much more than we would to any other DJ. So a few looks I’ve shortlisted for the days, few OTT and few balanced. There is a look in particular which I’ve kept in end for those people who don’t have the time to dress up. P.s. A lot of sequins on the way, don’t be scared. There are a blast of colours, though Red dominates Indian festivals. The heaviest look with the twist. 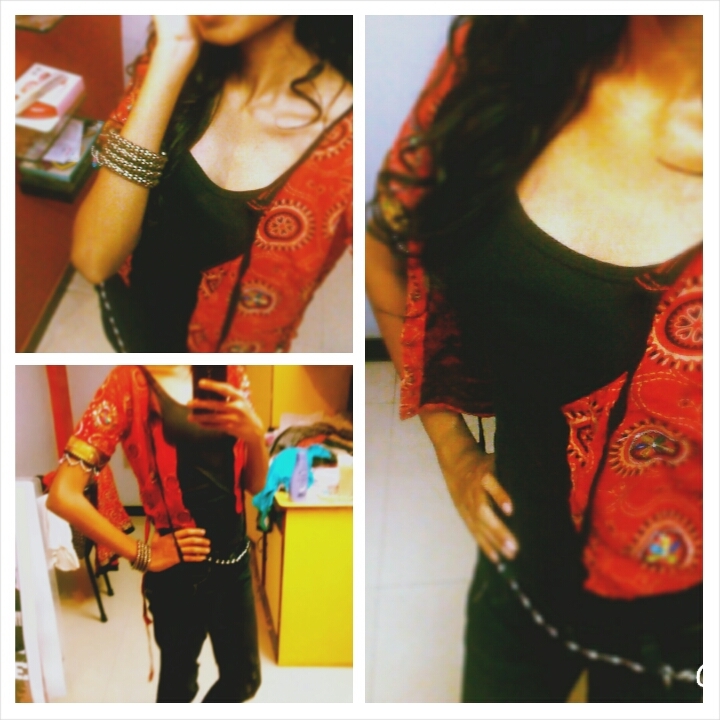 I’ve layered a chaniya choli over a black tank top and the blouse is worn with the backside as front side, to give it feeling of a jacket. A much subtle way of the look, which is my personal favorite would be wearing the blouse with jeans and adorning it with a chunky chain at waist, like a belt. 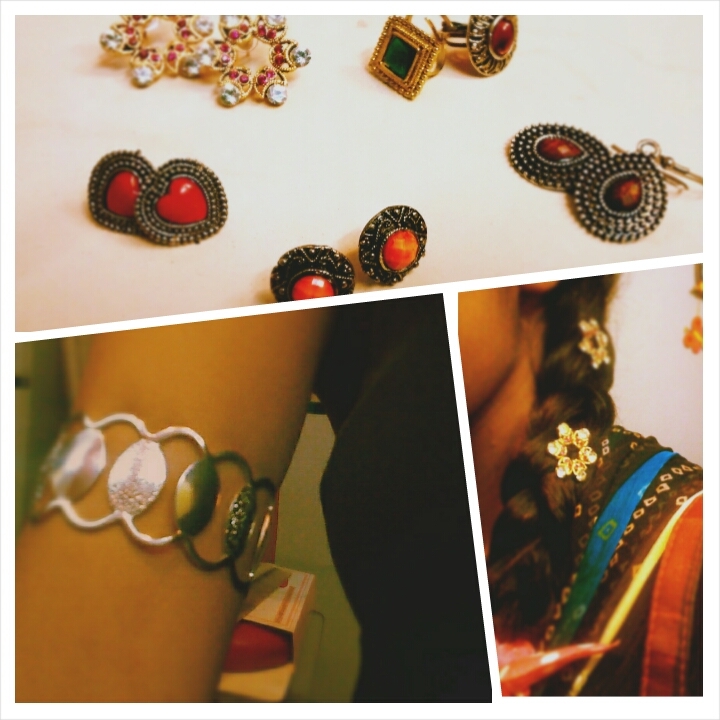 Of course a kada and a contrasting bag, work with the look like bread and butter. Don’t forget to bring out the punch in the look by the accessories. They take u on to a new level- unmatched. And an Indian festival is meant to be that way..
Here’s my take on the same. Now as I had promised. A look for people who don’t have a lot of time, or those tomboys. Bandani print is one of India’s most traditional prints. 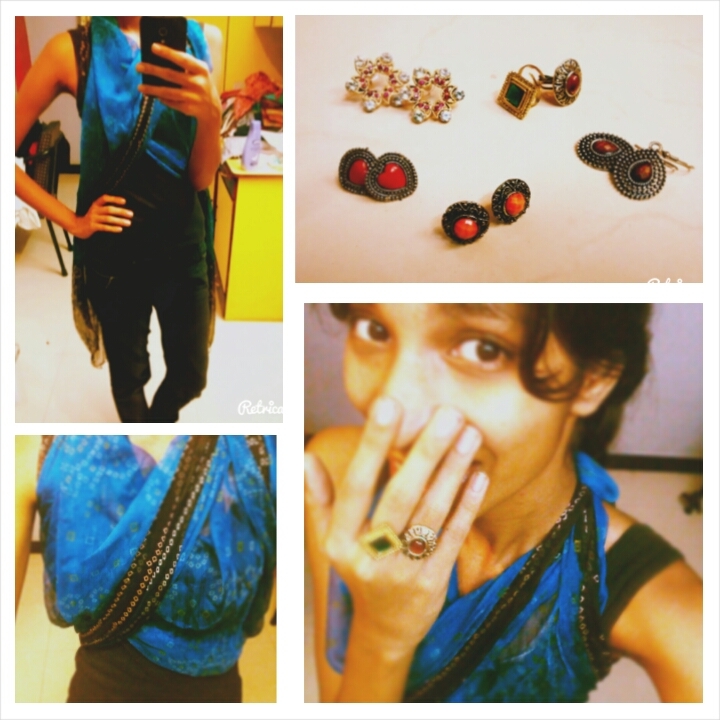 Simply drape around a Bandani print scarf like a crop halter top, so its comfortable and doesn’t come midway while dancing.Experiment with rings and tieing ur hair in plait. I’m wearing an authentic handmade Bandani here, from its hometown, Rajasthan.